‘I Am Loved’ is a collection of 10 exciting songs. Songs that speak of love, celebration, reflection, prayer and even meditation. A valuable asset to any children’s program or family that wish to ensure their child knows that they are loved unconditionally. 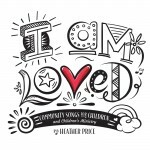 ‘I Am Loved’ comes complete with backing tracks for each song. The A5 lyrics booklet (PDF) is bundled free with your purchase. The NEW Music book with activity resources (launched in October 2016) is packed with great craft and activity ideas to accompany each song, and is ready to download here as a PDF. To save time typing out lyrics you can even download a PowerPoint file with all the song lyrics on slides ready to go. Learn more about the ‘I am Loved’ album. Click on each track title in the audio player above to listen to the recording. Songs are available as an album with recordings and instrumental backing tracks and as a sheet music book. You can read more about each song below. Select an option below to purchase I am Loved. This music store is currently for DIGITAL DOWNLOADS only. Once purchased you will receive an automatic email with links to download each file. There are lots of simple things that we can do to celebrate life, love and God. In every activity of every day, there is a chance to celebrate the life we have been given and to be grateful for the fact that we are loved unconditionally by God. Often within a community of people there is a range of personalities – some very willing to participate, while others are more hesitant to join in. This song aims to give everyone a turn at expressing things that are individual to them, hopefully leading to a greater understanding of each person. Depending on the size of the group and how much time you have, you may like to ask 3 or 4 different people to participate each time. This song is all about feelings. It reminds us to listen to our feelings and to care for others. We can share in each others joy, give comfort in times of sadness and trust our heart to guide us in all that we do. Everyone can join in the actions and show their angry, sad and happy faces as they sing along. “Song of Prayer” is intended to be a simple introduction to prayer for children (or those unfamiliar with the practice of prayer). A chance to think of others that are in need, a chance to reflect on your home life and the world around you, and a chance to check in with yourself. In the presence of children it is easy to see how each and every one of us is truly beautiful. What better message to send to our children, and to each other, that we are loved and that God intended us to be just as we are. 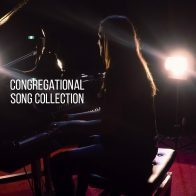 A simple, blessing song to express thanks for the time that has been shared together, to remember that we have all contributed to this experience and to remind ourselves that we can cherish these feelings until we meet again.